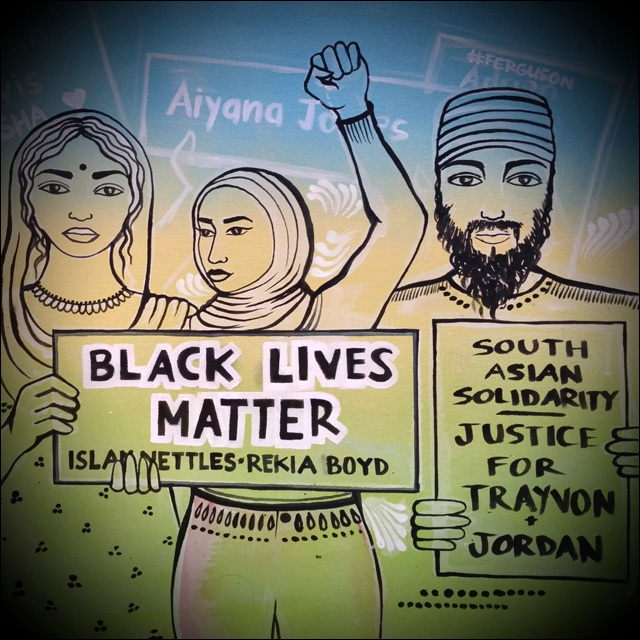 Mishthi Mixtape Volume 4: Asian Americans for #BlackLivesMatter: Mishthi Music made an awesome mixtape of movement songs created by South Asian, Asian Americans and Black musicians/activists. The rise of Asian American leaders in tech: With the promotion of Sundar Pichai as Google's new CEO, Jeff Yang talks about the tech industry, its immigrant innovators, and the rise of Asian American leaders in the field. Asian Americans Are Invisible To Politics & Politicians, Which Is A Major Problem When The Personal Turns Political: Why are Asian Americans so invisible in the political sphere? The Dangerous Weight of Expectations: Why do so many Asian American students suffer from depression? 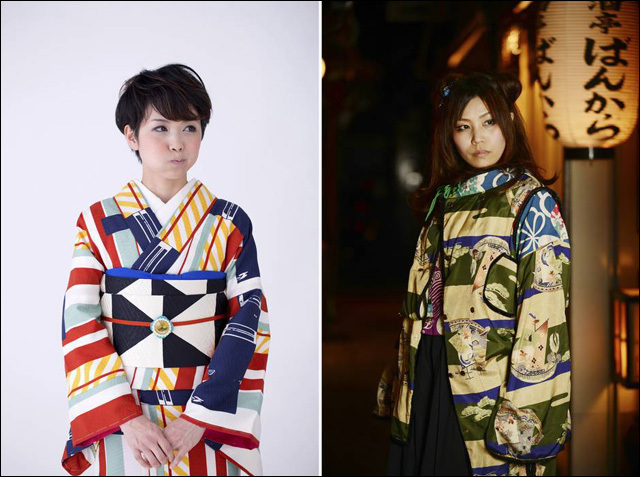 The kimono is big - and not just in Japan. But where is the line between appropriation and appreciation? : In the aftermath of the Boston Museum of Fine Art's kimono controversy, some wonder where appreciation ends and appropriation begins when it comes to the Japanese garment. This Seattle Student Defied The Curfew Imposed On Japanese-Americans: Remembering Gordon Hirabayashi, a sociology student at the University of Washington, who violated curfew set for Japanese Americans in 1940s Seattle. Why Racism in Vancouver's Housing Debate Can't Be Ignored: In the absence of substantial data, Chinese -- Canadian or not -- are blamed for Vancouver's housing affordability crisis. 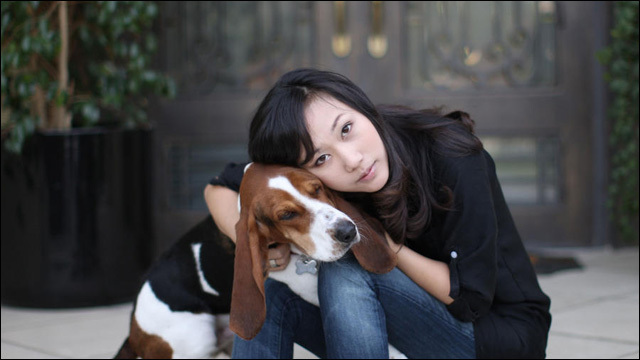 Meet Enid Hwang, Guardian of Pinterest's Culture And Community: A profile of Enid Hwang, Pinterest's community marketing manager -- and the company's fourth employee -- who starts her day at 6:30 a.m. focused on one mission: ensuring Pinterest wins over users, one-to-one. Steph Cha talks about the L.A. immigrant noir of 'Dead Soon Enough': Steph Cha might be the world's only author of Korean American feminist noir. Her latest novel Dead Soon Enough, the third book in the Juniper Song detective series, is set in Los Angeles' immigrant community. Why you should be reading Liu Cixin, China's hottest science-fiction writer: Liu Cixin, author of the "Three Body" trilogy, is China's most popular science fiction author. The first in the series was released in English last year, and the sequel, "The Dark Forest," was released last week. 5 Picture Books by Asian American Authors for Back to School Reading: Five illustrated books by Asian American authors to add to your kid's back to school list. Jon Chan Simpson's debut novel gets explicit about race, hip-hop, and Red Deer, Alberta: An interview with Jon Chan Simpson, whose controversial debut novel Chinkstar tells the story of a half Scottish-half Cantonese younger brother of a breakout Asian rap star in Alberta. Mindy Kaling's Guide to Killer Confidence: Mindy Kaling's secret? You have to earn that bulletproof feeling. In an excerpt from her new book, Why Not Me?, she explains. EXCLUSIVE: Vaughan & Chiang Reveal First Details on "Paper Girls," Debut Concept Art: Writer Brian K. Vaughan and artist Cliff Chiang share an exclusive first look at concept characters sketches for their upcoming comic book Paper Girls, "the story of four 12-year-old newspaper delivery girls who experience something extraordinary." Getting Rowdy: Keith Ape and Real Rap in Korea: South Korean rapper Keith Ape has been making some big waves stateside with his breakout single "It G Ma." The makers of 'Meru' on how to photograph a mountain while climbing it: Filmmakers Jimmy Chin and Elizabeth Chai Vasarhelyi talk about their documentary Meru, which was shot while scaling Mount Meru.